If you guessed D, you're right! The city is estimated to have 2,000 murals and is often cited as having more public art than any other city in the country! If you guessed C, then you're right! 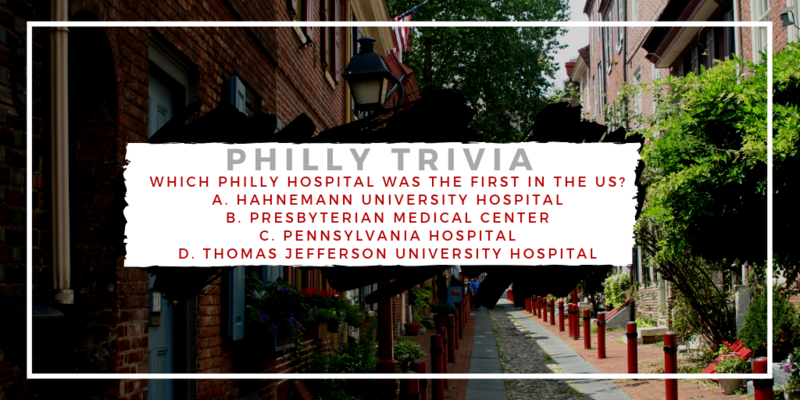 Pennsylvania Hospital was the first hospital of our nation, originally opening its doors on Market Street in 1752. It remained a standalone hospital for over two centuries before merging with the University of Pennsylvania Health Care system in 1997.